Going on a long journey can start off sounding fun but if you fail to prepare some activities to keep children occupied, it can soon turn into a real headache. The thought of the open road is very appealing until you realise what constitutes for the open road in the UK is a 10-mile tailback on the M5! Children – These little backseat drivers will need entertaining, so you don’t go mad with the constant cries of ‘Are we nearly there yet?’ Give them their own entertainment station in the form of a backseat organiser that holds pens, paper, tablets, books etc. To make it nice and easy for them to stay busy, give them a Car lap tray to lean on. Capture the moments – Whenever you make a stop, whether to visit an attraction or for a comfort break, don’t let any inclement weather stop you from snapping away to capture the moments. Get yourself a waterproof camera case, one that is UV and dust resistant and can zoom in while still in the case. You can also hand over your camera to the kids without worrying about damage or damp. Take a break – If you’re taking it in turns to drive then when it’s your turn for a rest, you’ll want a comfy place to rest your head. The solution is a 2-in-1 memory foam pillow pack that comes with an eye mask. You’ll keep the sun out of your eyes and won’t suffer the annoyance of having your head bob around. Hand sanitiser – It’s not always easy to wash your hands when you’re on the road and let’s face it, touching door handles in motorway service stations is going to expose you to all kinds of bacteria! 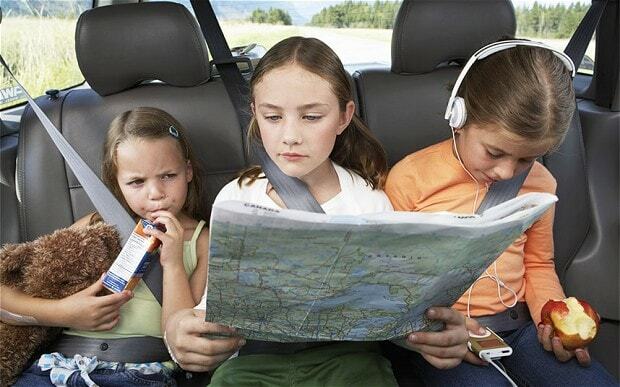 A handy travel pack of hand sanitisers is a must for all road trips, especially when you have kids. Portable jump starter kit – You don’t realise how much you need one of these until you need it. If you should happen to leave your lights on overnight and wake to a dead battery, that can put a serious dampener on the day’s plans. Don’t wait for a good Samaritan or a rescue service, get on and fix it yourself with a portable jump starter that can start your car up to 20 times on a full charge. Light diffuser – Passenger lights are distracted and risk annoying the driver, but if you love to read then treat yourself to a handy light diffuser which uses the flash from your mobile phone. It is a silicone cover that slips onto your phone and diffuses the flash to create a soft light to read by. AutoVillage allows car lease shoppers to obtain quick and easy access to view and Car Leasing deals of their favorite vehicles such as Mazda Business Lease and VW Golf Personal Lease.